HE DID IT! A new record: 415 miles biked in 24 hours. $40,000+ raised for lupus research. Keep his fight going — make a donation. View photos from the ride! 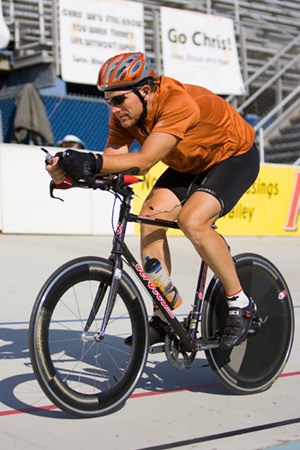 Chris Paradysz, who grew up in Coopersburg, breaks 28-year-old velodrome record, raises more than $40,000 for research of daughter's disease. Check out WFMZ’s story on the ride! On August 9th, rising NASCAR star Brad Coleman took to the track with the S.L.E. 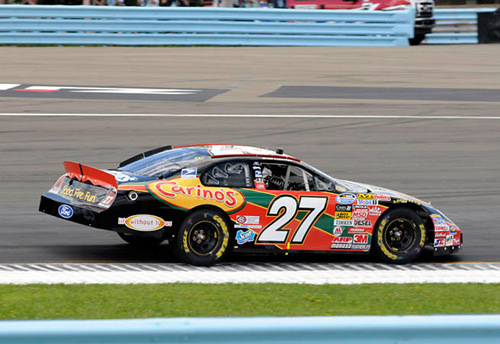 Lupus Foundation’s mission—“Life without Lupus”—displayed on his #27 Ford in front of an incredible 100,000+ race fans in Watkins Glen, New York, and millions more watching at home. Join the ride as Brad and Chris dedicate their "wheels" to the lupus cause. Sign up for email updates, follow Chris’s blog and become a bike ride sponsor. Let them know you are behind them!